← Age Related Memory Loss or Something More Serious? Family owned and operated since 1968, Now® Foods was founded on the philosophy that good health should be affordable and available to everyone. 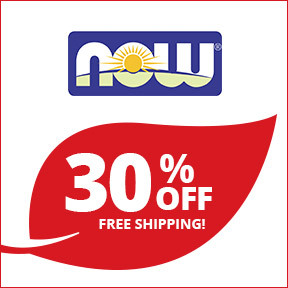 As a respected advocate of the natural foods industry, award-winning manufacturer Now® Foods is committed to developing and providing supplements and products of the highest quality to empower people to live healthier lives. Product development is based on published research and clinical trials and all products are manufactured under strict GMPs guidelines, assuring products meet or exceed expectations of efficacy in support of good health. All raw materials are tested for purity, potency and identity and all products are formulated by a team of well qualified, experienced and dedicated scientists, nutritionists, chemists, microbiologists and technicians. The staff’s combined expertise comprises many years of experience in the development and testing of safe and effective natural products using top quality ingredients. All products are guaranteed to be free of excipients, heavy metals, pesticides, hormones and additives. 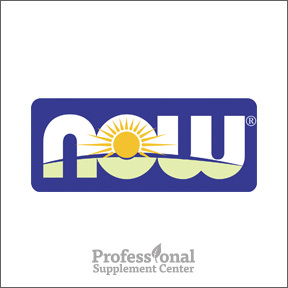 Now® is committed to providing dietary supplements formulated with non-GMO key ingredients and is actively pursuing non-GMO verification status on additional products. Quercetin with Bromelain – Quercetin, a naturally occurring bioflavonoid, supports healthy histamine levels and a healthy immune response. Bromelain, a pineapple enzyme, supports healthy immune system function. This powerful combination provides immunomodulating benefits that aid in the management of seasonal allergy discomfort. Gluten, soy and dairy free vegetarian formula. Acacia Fiber – This gentle, highly soluble fiber powder mixes instantly with any liquid in support of intestinal health. 100% USDA certified organic and no added ingredients. Soy, gluten and dairy free, vegan formula. MSM Powder – This natural form of organic sulfur aids in the formation and maintenance of body tissues, including connective tissue such as cartilage. Tested to contain a minimum of 99.7% purity. No additional ingredients. Gluten, soy and dairy free vegan formula. Flush-Free Niacin 250 mg – Niacin, or vitamin B3, is essential for digestive and nervous system health and aids in the maintenance of healthy cholesterol levels. This stable formulation of niacin and inositol is specifically designed to reduce the flushing often associated with niacin supplementation. Gluten, soy and dairy free vegetarian formula. Vitamin C-1000 Sustained Release – Well known for its antioxidant properties, C-1000 provides a potent, sustained release dosage of vitamin C along with rose hips for superior absorption. Gluten, soy and dairy free vegan formula. This entry was posted in Home and tagged Acacia Fiber, Flush-Free Niacin 250 mg, MSM Powder, Now Foods, Quercetin with Bromelai, Vitamin C-1000 Sustained Release. Bookmark the permalink.